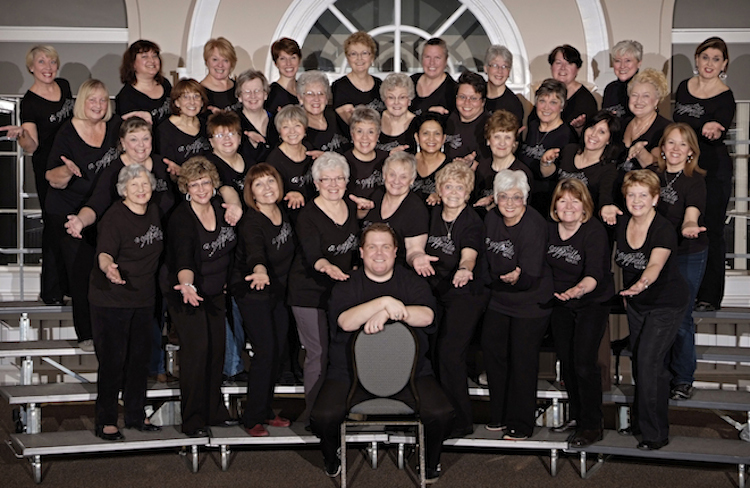 A Cappella Showcase is an International Championship women's chorus based in Milton, ON. As an educational singing organization, the chorus teaches and trains women of all ages to sing and perform in a cappella harmony, at an award winning level. A member of the larger organization, Harmony Inc., A Cappella Showcase is a hidden gem in the music world of Ontario. Formed over 20 years ago, A Cappella Showcase has participated in many international competitions for Harmony Inc. The most memorable trip the chorus undertook was to St. Petersburg, Russia at the invitation of the Russian Minister of Culture for a week-long festival in the summer of 2008. Recently, the chorus competed in the 2016 Harmony Inc International Competition in Providence, Rhode Island, winning the gold medal! Members travel from Toronto, Brampton, Guelph, St. Catharines, Hamilton, Orangeville and Cambridge to Tuesday night rehearsals in Millgrove, ON.